The four-seater Alice table features a beautiful lattice table top and an intricate, woven border. 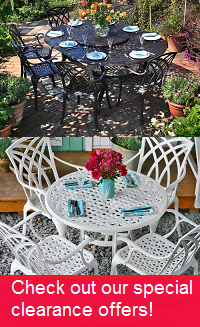 The Alice table is well-loved by our customers and with over 120 positive customer reviews is our best-selling 6-seater round metal garden furniture set. 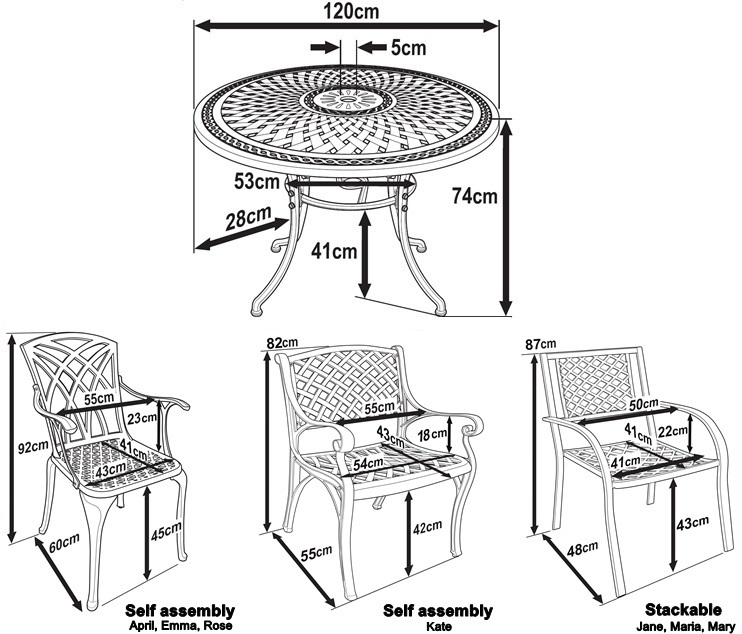 The 6-seater Alice table set is the perfect size for small gatherings such as BBQs and parties or even just a relaxing evening spent outdoors under the summer sun. The table is made from high quality cast aluminium and is incredibly lightweight at around 19kg, not to worry though, no sacrifices have been made for durability. Our Alice table & 6 chair set in White will turn any garden into an idyllic outdoor seating and dining area, perfect for entertaining guests. For a time-worn effect that remains strong throughout the ages, pop on over to the Alice in Antique Bronze, or its charming sister in Slate Grey. Don't forget to look at our gifts section above where we offer amazing discounts of 30-70% on a wide range of products to complement your purchase of the Alice table set.